Modern room with a towering cathedral ceiling. 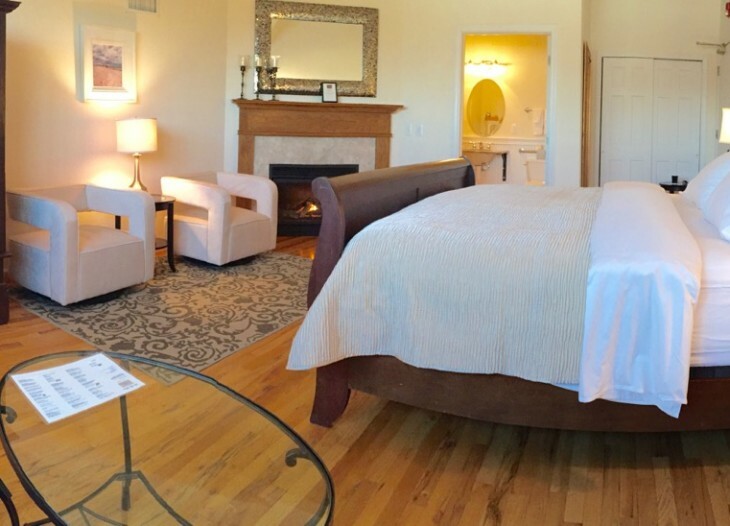 King bed with Euro pillow-top mattress, spacious bathroom, fireplace. Modern loveseat with complimenting swivel club chairs. Views of Main Street shops and restaurants. 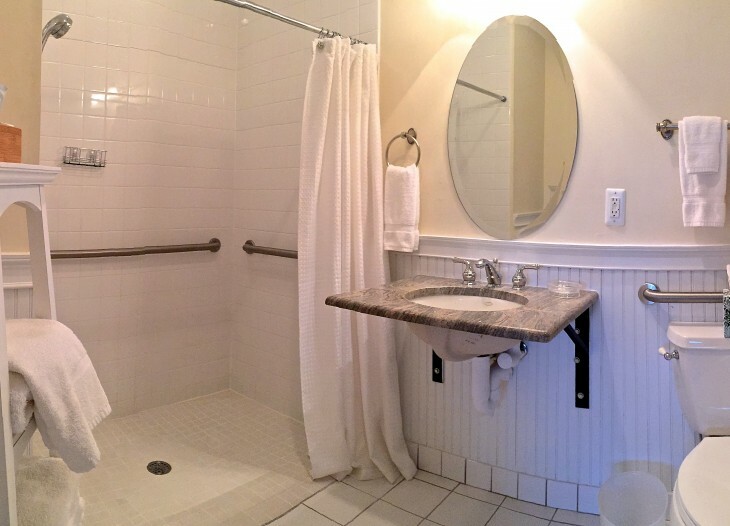 All rooms have bathrooms with shower, mini-refrigerator, coffee maker, flat-screen cable TV and wireless internet access. Fall, Winter & Spring weekends from $239; Peak weekends from $299.